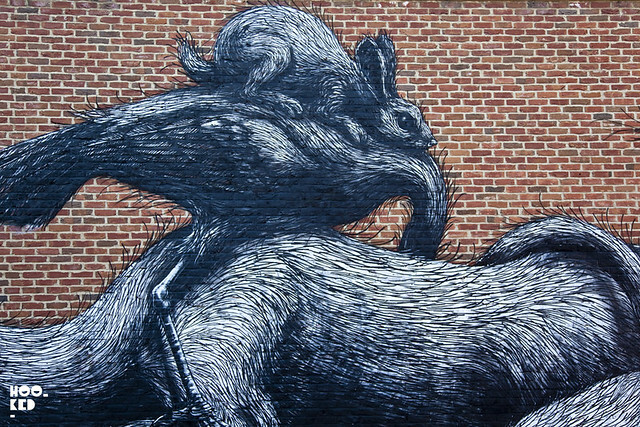 Belgian street artist ROA has been back in London the last week working on an epic new large scale mural in Bethnal Green in East London featuring a series of animals in the artists painted in his signature black and white style that he he is now known for across the globe. 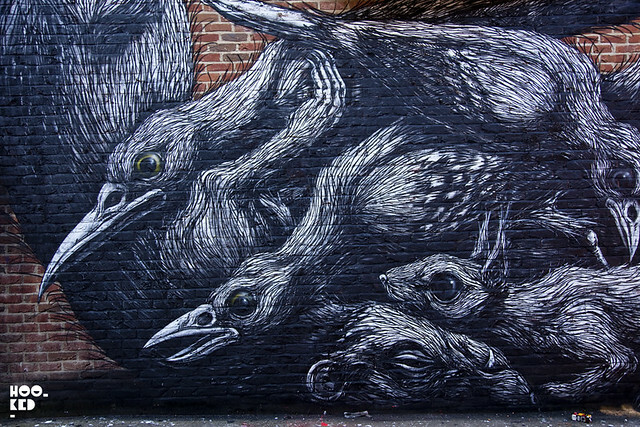 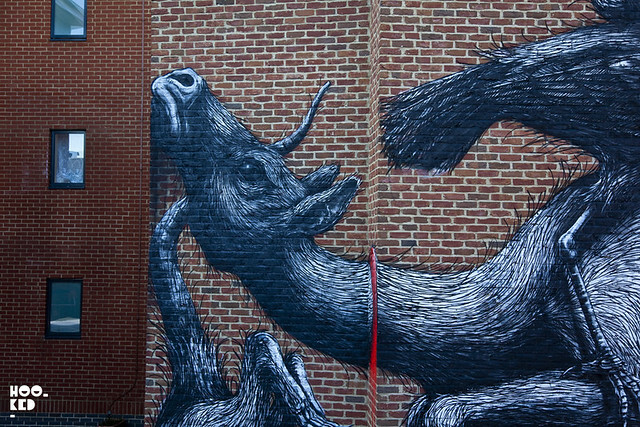 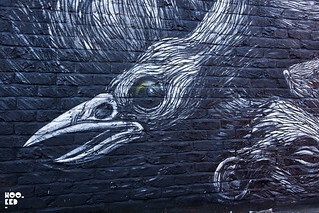 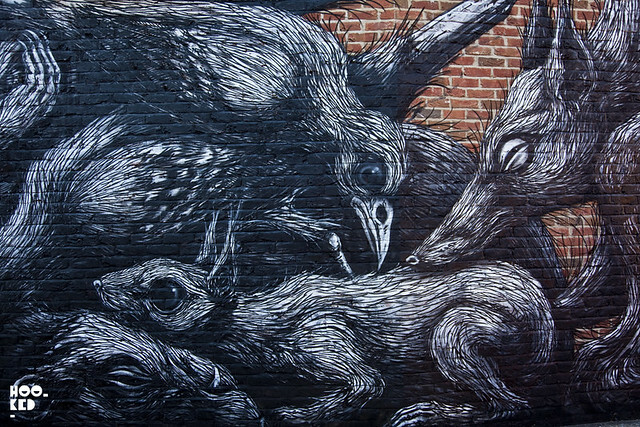 ROA is currently in London as he was one of the street artists invited to participate in Street Art London's “Baroque The Streets: Dulwich Street Art Festival 2013”. 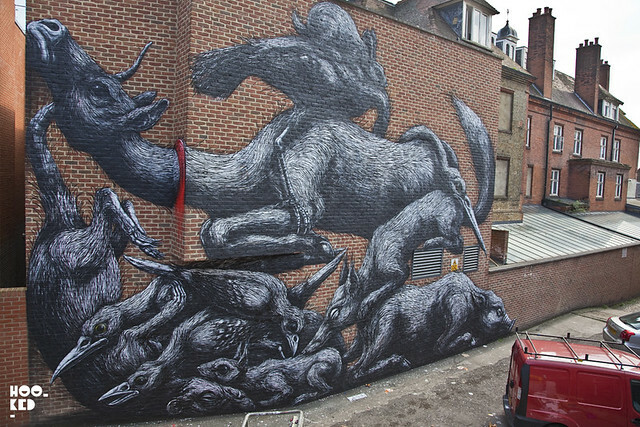 Along with this mural in East London, ROA painted two works in South London as part fo the festival, both of which we have yet to see in person. 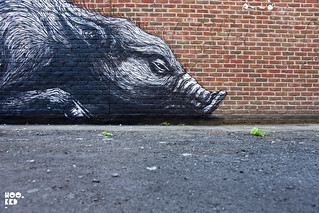 Check out our photos of the new wall below. 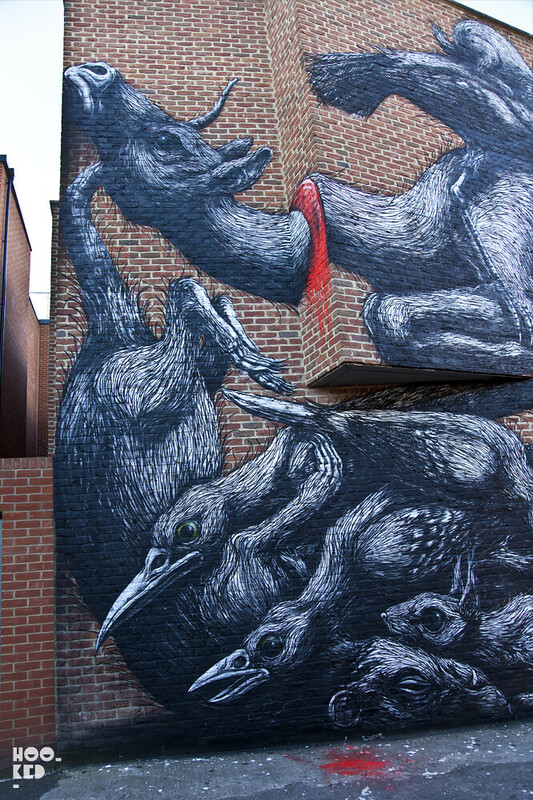 We are hoping to make it south soon to check out the other work from the artist but in the mean time have a look at our photos from his latest mural in our street art gallery below.